Somewhere in 2014, I became aware of a book written by Debbie Karch and Sue Hitzmann called “The Melt Method.” I am a big fan of rolling on balls and foam rollers and taking care of my own fascial structure, so I was skeptical when picked up the book. What could be new? However, while the material was familiar, it was coming from a slightly different philosophy than I was used to. Right away, I could see that the book and concepts within were organized in a highly logical and very useful way. 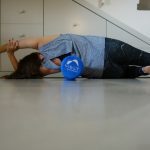 The Method seemed to be speaking to all my clients who, when presented with a foam roller, would rather turn and run–too intense, too painful, and not enough long term benefit. MELT seemed to be the better way to go, smart progressions and a softer touch. In 2016, I discovered that there is someone in Madison teaching the method! Happily, I connected with her, and she started be teaching MELT here at Jules Pilates. Say “hello” to Liron Weiss, and “goodbye” to chronic pain! I asked Liron, the expert a few questions about MELT, to help you all understand what it is. How long have you been practicing the MELT method? I have been practicing MELT for since 2008. I am a huge believer in the method as a way to reduce (and even eliminate) many forms of physical pain. I discovered MELT as a last resort for a chronic pain in my neck. The pain persisted despite repeated PT sessions and efforts of chiropractors and prevented me from maintaining my active and sports intensive lifestyle. Since I discovered MELT, I am no longer a “slave” to the pain. MELT is now an integral part of my life; it helped me to regain trust in my body! By regularly practicing MELT, I am a more efficient athlete and I can more freely perform everyday activities as a busy carrier woman and a mother of two. MELT should be viewed as complementary method for other treatments, practices, and workouts. A key distinction of MELT is the focus on treatment for a system of the body — the neurofascial system — that other methods tend to neglect. 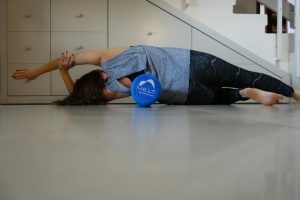 MELT is to the neurofascial system (nervous and connective tissue system) what exercise and rehabilitation are to the musculoskeletal system. The scientific principles and direct self- treatment of the neurofascial system have been introduced by Sue Hitzmann – the creator of the MELT Method, and are not addressed in other methods. What is the best part of MELT? MELT quickly rehydrates connective tissue and allows the body to release long-held tension and stress that leads to chronic pain. (Jules notes–this is what I’ve been telling you all that we need!) MELT is easy to learn and offers results you will see and feel from day one. Changes in alignment, flexibility, energy, mood, and performance occur within only a few sessions. Best of all, your body feels great long after you MELT! The results that MELT provides were previously available only through ongoing, costly hands-on therapies. Now you can be your own Hands-off Bodyworker® and be in control of your health. Adding MELT to your current routine can boost the results of whatever else you’re doing. Who can benefit most from MELT? for active younger adults and athletes who want to maintain a fit, healthy body and achieve optimal performance without debilitating wear and tear. MELT is for anyone who hit a plateau in their practice and looking for something new to move their practice to the next level. MELT is truly for everyone! Even if you are pregnant, injured, post-surgery, overweight, sedentary, out of shape or have limited mobility, chronic pain, knee or hip replacements, or bone disorders – you can still MELT. It’s the best starting point for any exercise and wellness program. What other practices do you have for maintaining your health? I like to play tennis, hike and camp with my family and explore the beautiful nature around us. I exercise at The Orange Theory Fitness and to balance it out I also swim. 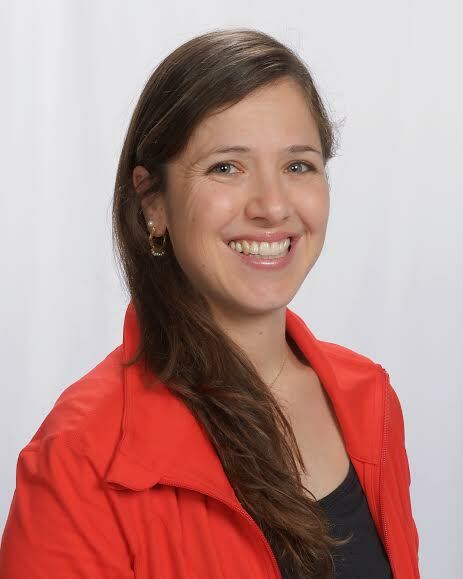 Liron will be teaching classes and offering workshops. I have known Liron Weiss for several years now. I love her MELT classes and try to take them whenever my schedule will allow. It intrigues me that she played competitive tennis. I admire the quick power moves and decisive direction changes tennis takes. She is a wonderful teacher with a unique way of helping you get in touch with your sensations and understand what you can do to unravel possibly years of “stuck stress” as she calls it. I started playing tennis at the age of 6. My parents took me couple times a week at first, and when it turned out that this is something that I am really good at and LOVE so much, I started playing every day. By the time I was 9 or 10 I joined a team (there where only two girls and I was always the youngest). between the ages 12-16 I played professionally all over the country and practices every day for minimum of two hours. Tennis gave me a purpose in life. It was my ‘second home’ and my life- and my family’s life revolved around it. It become a family hobby – as my two young sisters started to play too and as we all traveled around the country every weekend – for a different tournament. At the age of 18, when I served as an infantry instructor in the Israeli Defense Force I had to stop playing and serve for two years. I continue playing after that time and pursued my bachelor degree in Physical Education. around that time, as I was returning to play again, I started to have chronic neck pain. This pain stuck with me for about 4 years. Right after I graduated, my husband and I moved to NYC, and that added some more stress on our lives. During that time I was a kickboxing and Step instructor and the pain stuck and didn’t want to go away. I had to stop teaching and reduce the time on the tennis court… Until I found Sue Hitzmann the creator of the MELT Method. I took a few class with her and felt that something big is happening to my body!